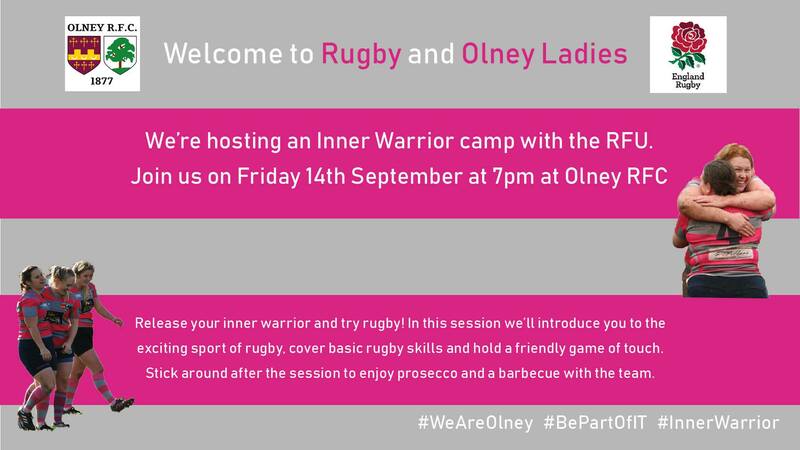 Olney Ladies host the RFU for a special Inner warrior camp, aimed at any ladies new to the game who'd like to give rugby a go! Come along for 7pm and join in with some fun games, learn the basic skills of rugby and even have a go at a game of touch rugby. Join us afterwards for a special gin and tonic event in the bar. Perfect!